FREE additional 3-pc gift set when you top up the third product. Pick Your Ang Pow from the fortunate bowl when you spend RM680 & above! 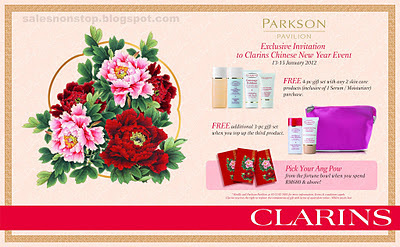 Kindly call Parkson Pavilion at 03-2142 3881 for more information. Terms & conditions apply. 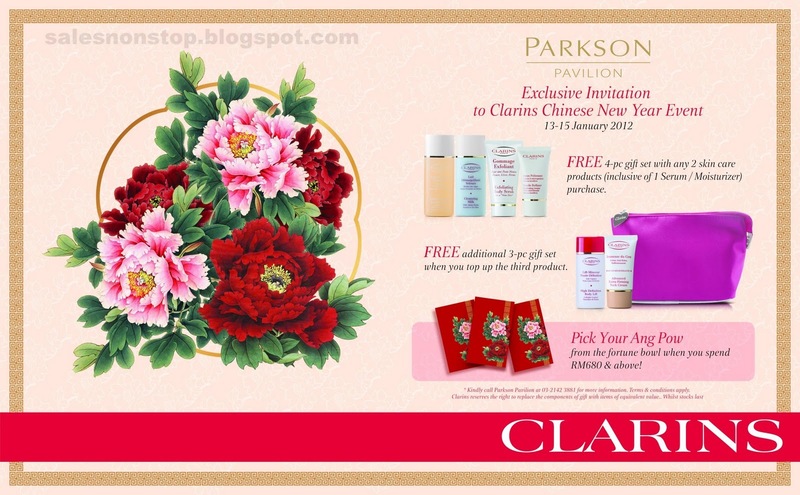 Clarins reserves the right to replace the components of gift with items of equivalent value. While stocks last.